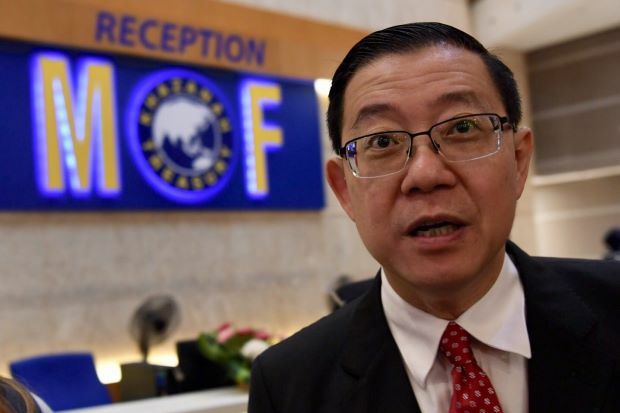 Malaysia’s newly minted Finance Minister Lim Guan Eng was reported to have handed out some morale boosting talk to a group of Malaysian entrepreneurs, the quote of which made headlines in Singapore. Lim attributes Singapore’s success to our “creativity” and “marketing” that gave us an edge. I highly doubt that is correct. The former CEO of the Singapore Zoo Bernard Harrison had famously criticised us for lacking in creativity. We’re innovators, no doubt. We can take an ordinary bread shop, give fancy names to pastries and call it Bread Talk. Then we launch copycat versions such as Sweet Talk, Bread Story, Chicken History etc. etc. Look at MediaCorp. They’re always copying – the Noose, for example is just an improvisation of Sacha Baron Cohen’s work. So what is our secret sauce? To my mind, our success is traced back to these two: Education and Workers. We have taken a very serious approach to education. Investment and innovation goes on all the time . Look at how we have developed, how the curriculum changed. The Ministry will ruthlessly drop policies that didn’t work and cautiously preserve things that did. Observe how the ITEs have evolved. From what was VITB, it had to renew itself aggressively to shed-off its stereotyped image. Universities are no longer merely academic. We now have tertiary institutions dedicated to sports, arts, science and even management, showcasing the importance of diverse skills. Nothing stays stagnant when it comes to the Ministry of Education and it is this leadership that gives our citizens razor sharp thinking and mental flexibility. Even our most undereducated ah-bengs are capable of strategic and lateral thinking. The next is an obsession with jobs and workers. Whilst trade unions around the world have narrow casted themselves into overly biased forms of protection, Singapore’s labour movement had a different approach: help the employers, so that the employers can help the employees. It is realistic: the source and fate of all employee’s wealth, is directly pegged to his employer. This understanding forms the foundation of Singapore’s labour affairs. Its trade union federation, the NTUC, directly influences policies and politics that lift the tide for both employers and employees. That is why it actively pursues progressive programs, such as the Industry Transformation Maps, and these programs must almost always result in win-win situations for employer and employee. When it comes to raising wages, there is an established tripartite mechanism that is seen in the National Wages Council. There is no need to take to the streets to protest wage increases. I could name so many more examples of how national policies were nudged and influenced by the Congress but the point here, is that this obsession with workers had made a peaceful, stable and fertile economy where both companies and employees grow in tandem. So Mr. Guan Eng, I do wish you and all of Malaysia well. But it is not marketing and creativity that made Singapore what it is. It is a trust in the government and a trust in the labour movement, allowing them to develop good policies – that has gotten us where we are. P.S – Yes, chicken rice is ours. Some said Separation caused the competition, and asked whether was Separation good? Was leaving, the Separation in 1965 a right decision? The S$1 trillion reserves vs the MR1 trillion in debts today are proof of which way each one of us is heading. The exchange rate which started at 1:1, and now at S$1 = MR2.90, and the AAA rating that has been earned by Singapore are proof as well that a rock of 713 sq km with no natural resources can make it, and has made it. Would it have been much better off if there were no Separation in 1965 that has forced Singapore going alone and to feint for itself in this world of dog-eat-dog capitalistic systems, and politically-motivated nationalist fervour to drive others on to the rock? Competition is friction which will be going against harmony Wa. It is a New Age of Wa and those going against Wa will be in vain. Malaysia needs lots of cash, and tiny red dot needs lots of raw water, granite and sand. Will the win-win solution be in Dr M’s hands? We know nothing is sacrosanct to the new Malaysian Govt under Dr M.
The balls are in Dr M’s hands now, not that of red dot’s. Will Dr M play hard or soft ball? Hopefully at his age, political experience and acumen of a political master, he will be less combative now unlike when he was younger to make the wise choice by putting down his past dislikes and emotional baggage. The next 12 months will see where he is heading. Tiny red dot can only wait as the balls are not in our hands for us to deliver and serve that Dr M can accept or appreciate. It is easy to be friendly, surely can. So easy. There is no need to work so hard to plant and harvest or dig in the mines. It is so easy to simply sell granite, sand and raw water in exchange for S$. That will be a friendly move from Malaysia towards Singapore. Friendliness has to be earned. Respect needs to be earned, reciprocal. There is no need to seek loans when one can sell not borrow. Which is better: to sell or to borrow? All governments are answerable and accountable to their people with the country’s economy, reserves and future. If not, they will be voted out. There is no free lunch, and no one on earth owes this rock of 713 sq km a living. No country or anyone will send raw water to Singapore, and some will prefer to let the water be wasted going into the sea rather than sell it. This shows how altruistic or friendly one can be to another when the other is thirsty, lacking potable water. They will rather let you die in thirst. This is fundamental to show one’s friendliness, and not to ask for it but give it first. Give and be given. This is the first principle. Water is basic. Not money, and not being money-minded. If one cannot help others by giving water to those in thirst, how friendly can one be? It is friction, going against Wa. Letting water flow into the sea and be wasted cannot be a friendly act. It is an act of being schadenfreude. Do they want Singapore and all Singaporeans to go on their knees to beg them for raw water? Bumi way and the meritocratic way. So long as the majority is poorer than the minority rich [opposite to the demographic of Singapore by race basis], the embedded problems will remain or even be perpetually hard to overcome. I hope Malayians can solve their Bumi thing first before playing to the political gallery in KL to raise friction, which is going against Wa. Should we say that if Malaysia or Dr M wants to be friendly to Singapore: first apologise for encouraging Singaporean voters to topple the Singapore Govt. It is a nasty dislike from Dr M, and his past carried over emotional and historian baggage including his dislikes have shown us his true colours again. His dislikes cannot be reconciled.